Nguyen Toan Thang started his career in 1979 in State Bank of Vietnam and held different key positions in various areas such as bank credit, monetary policy, research, training, and many more. Thang was then in charge of IT and payment system in SBV for a long period of time. He was the deputy governor of State Bank of Vietnam before joining Vietnam Banks’ Association in July 2016 as secretary general. Steve Monaghan is currently chief investment and innovation officer at Gen.Life, accountable for their innovation agenda. Prior to this, he held a number of senior corporate and banking roles in product, marketing, operations and general management, working for leading corporations and financial institutions including AIA, DBS, Shinsei, OCBC, Citigroup, Compaq and Dell. Throughout his career, Steve specialised in introducing new business models, businesses and products in all major markets in Asia and has filed six patents. Nguyen Ba Diep has more than 20 years of experience in finance and technology. As executive vice chairman of MoMo, Vietnam's pioneer and largest mobile payment company, Diep worked with banks, financial institutions, and regulators in utilising fintech to extend financial services to more people, especially in the rural areas. MoMo provides nearly 200 services, including payments, mobile commerce and financial services, to 4.5 million customers through its e-wallet and more than 5,000 agents in the country. Sriram Srinivasan is head of digital platforms and channel operations and has over 15 years of experience in consumer e-banking business, technology, operations and marketing, handling large transformational initiatives across various geographies. He was instrumental in launching online banking at Citibank Japan. Srinivasan specialised in the design of end-to-end digital solutions that provide excellent customer experience as well as solid business value. He has established a regional eBusiness Center of Execution, handling various facets of digital banking including content management, creative development, e-DM, e-statements, web analytics, “Smart Banking” branch solutions, email deliverability and online acquisition form design. Khalidas Ghose is the CEO & Vice Chairman of VPBank Finance Company Limited. Under his management, the consumer finance division was spun off from VPBank and became VPBank Finance Company with number one position in Vietnam’s consumer finance sector. Prior to joining VP Bank, Ghose was the GM (Indochina) for retail banking and wealth management for ANZ Bank and the first CEO of Prudential Vietnam Finance Company. Before coming to Vietnam, he was the president and CEO of CitiFinancial Corporation Philippines, a Citigroup entity and the leading consumer finance organisation in Philippines. 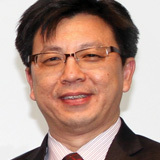 Tran Cong Quynh Lan is currently deputy CEO and director of the IT centre in VietinBank. Since working at VietinBank, Lan has been in charge of IT strategy deployment in pursuit of making IT the modern and stable platform of business development strategy and satisfying the BoM’s requirements. Along with developing and directing IT strategy deployment, Lan is the project director of CoreBanking Replacement, which has the utmost importance and plays a decisive role in replacing VietinBank’s core banking system. Sandeep Deobhakta is the head of retail banking at VP Bank. VP Bank has ambitious plans to be one of the top 3 retail banks in Vietnam through rapid growth and transformation. Prior to his current role, he had lived and worked in many other countries in Asia, the Middle East, Africa and the US. His previous roles include consumer banking, wealth management and transformation roles at various international financial institutions including Citibank, Standard Bank, Barclays, Shinsei Bank and AIA Group. Dinh Van Chien is currently deputy CEO and head of retail banking at TienPhong Bank. Before joining TienPhong Bank, Chien had over 18 years of experience in banking and marketing, and held multiple management positions in both local and overseas organisations. Some of the roles include deputy director of Vietcombank card centre, project manager of Vietcombank Visa/Mastercard department, marketing manager at Johnson and Johnson Vietnam, senior manager at OCBC global personal financial services in Singapore, director of product development centre for retail banking at VPBank. Anh Quang Le is the head of technology, strategy and architecture at VIB Bank, leading the IT strategy department and providing new methods for the banks’ IT architecture. Prior to joining VIB Bank, he held positions as VAS & ICT solution director for CMC Group, and other management roles with vast experience in European countries. 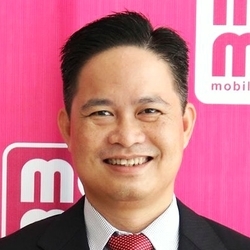 Nguyen Manh Tuong is currently the executive vice president at M Service – the owner of the MoMo mobile application and 5000 MoMo shops providing payment services for more than 5 million users. Tuong has extensive experience from business development, product development to digital marketing. He earned his M.S in computer science from State University of New York at Buffalo and MBA from Booth School of Business, University of Chicago. David Gyori, CEO of Banking Reports London is currently a globally renowned fintech consultant, trainer, author and keynote speaker. He is a founding member of the World FinTech Association and faculty member of the Retail Banking Academy (London), one of the most prestigious banker-training facilities globally. He serves on the advisory of multiple fintech companies in the United Kingdom. Also, he is co-author of ‘The FINTECH Book’. Vu Viet Hung is currently chairman and CEO of BankGo, a financial comparison platform in Vietnam for housing, car and consumer loans. Prior to BankGo, Hung was a former banker at Tien Phong Bank, HD Bank and VIB Bank, with more than 10 years of experience in relationship management, core banking, internal control and audit as well as capital and payment. Alex Medana has spent 16 years of his career in the trenches of various global tier 1 financial institutions doing and managing others, zeroing in his delivery on the client both internal and external across various business lines, markets and asset classes. His plain-talking ways of simplifying complex issues and technologies make him a sought after public speaker and advisor particularly for debunking the blockchain hype and pushing the agenda for real innovation. His work in fintech is at the forefront of the next wave of banking, using technology to improve the customer journey. With a team of FinFab rockstars, he is now focusing on creating the fabric of banking block by block. Gaurav Mehta is the founder and chief executive officer of IT’s Sambhav, a management consulting firm providing consulting services to niche IT companies. He has over 20 years of experience in technology and corporate strategy and has held leadership positions in various organisations including Infosys, Nucleus Software, and SunTec Business Solutions. Kumar Vaibhav has been involved in the IT service industry business development for more than 20 years, covering industries such as Telecom & IT, with specific focus on BFSI segment predominantly in ASEAN region. His last assignments have been with multinationals like Misys, SAP & SunGard, for establishing and growing their business in APAC region. At CRMNEXT, he has been instrumental in promoting business development activities across ASEAN region, including establishment of new BFSI relationships as well as regional alliances and partnerships. Hoang Nguyen is an E-commerce and M-commerce enthusiast with a diverse professional working experience from the UK, Vietnam and Singapore. 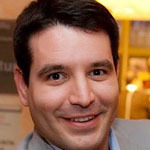 Prior to joining Criteo, he has more than 6 years of sales and account management for some of the biggest brands in the Travel such as Booking.com and TripAdvisor. Foo Boon Ping manages the Asian Banker publication business and engages practitioners, customers, partners and media on critical issues that impact the industry. He has more than 19 years of experience in the banking and financial services industry, specialising in strategic branding, marketing communications and consumer insight. Prior to The Asian Banker he was at United Overseas Bank (UOB), covering Singapore and key markets in the region, such as China, Indonesia, Malaysia and Thailand. Philippe Paillart was formerly vice chairman and CEO of DBS Bank and a pioneer in the retail banking industry in the Asia Pacific region, having served at senior management levels at Standard Chartered Bank and Citibank. Prior to his appointment with DBS, Paillart was chairman, president and CEO of Ford Motor Credit, and president of Ford Financial Services Group. Upshi Ghosh is a part of The Asian Banker’s research team involved in developing insights into the key issues impacting the banking and financial services industry. She has over ten years of experience in business research, with focus on market assessments, segmental analysis, and competitive benchmarking. She has led research initiatives across geographies including Asia Pacific, North America, Africa, and the Middle East.